Alright, so who else is playing this? I am. I'm obviously Branjita in the game. I started yesterday. I played for 20 minutes or so, it's not very interesting when you don't want to leave the house. Lol yeah, it's pretty awful at home. At work, there are tons of players and things to spin to get more balls and items. I can't play it on my crap Windows Phone. Might buy a better phone though and just give this one to my mother. But my girlfriend and friends play it. I let my friend take a break at work so she could go catch a Ponyta lol. Of course I play it, and I'm already addicted. I started about two weeks ago (guilt had some work colleagues + my boss!! !, friends and one of my kids )! I am now in Level 21 and trapped 81 Pokémons. My strongest Pokémon is Aquana (Vaporeon in English) with 1633 points (WP). But the battery goes down very quickly . Let's see how long me this game is fun. I'm almost level 24 . My girlfriend and I like to go play it. It's only on my phone, and in a relationship, it's actually better that way. She plays while I drive, I play while she drives, she walks me around and makes sure I don't trip or get run over, I do the same for her, she helps me select which Pokemon to fight which Pokemon in gyms. It's really fun this way. We both like it, and it's making us go places we normally wouldn't go, and that's pretty fun. I'm level 18. I mainly just play at work lol. There's a Pokestop right next to our store. What team are you guys on? I'm Valor. Mystic, my co-worker made me join her team and I honestly liked the logo best anyway, so that was ok with me. Instinct, but I haven't played it much. It think I'm at level 6. I'm Valor! Now I'm at level 22 with 88 Pokémons! But still not get any Pikachu. Did you start with Pikachu? There is a trick that you can start with Pikachu. But I knew that only when I have chosen me for one of the other three. I'm almost level 24 and it says I have caught 1,172 Pokemon. I only currently have 187. I did the trick to start with Pikachu, but I'm not sure I am happy about it. Charmander is not in my area, and I've never seen one or hatched one. I've caught 0 Pikachu, but got the starter one and then hatched 4 of them. I get most of my good Pokemon by hatching eggs. I've spent about $60 on egg incubators so far over the past 2 months. I always have all 9 eggs getting incubated so I am 9 times more productive at hatching eggs. My girlfriend says it's a cheap form of entertainment for us, so I guess that's true. I'm going to have to spend another $20 this week so I can buy some more. actually my first one was charmander, i caught three pikachus in the same place in 3 mins. i think there was a glitch or something, but now I got 3 pikachus. I mean in the Pokedex, there i have 88 different Pokemons. Otherwise total i caught 1,196 Pokemons. Money I'll never spend on this game. 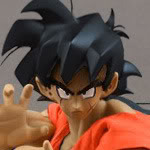 Then rather for DBZ figures . I'll just always have an incubator. Oh ok! I have 101 then. Redstar, do you have Mr. Mime? He's exclusive to Europe. Tauros is exclusive to North America. I have several of him. Yes, but only today I caught him! Had to wait three weeks until I get it. But I read when eggs hatched, one gets them anyway. But catch... I do not think. Otherwise, I shall miss the Tauros. I don't think the regional exclusives can be hatched. I haven't gotten Mr. Mime, Farfetch'd, or Kangastan yet, that much is for sure. I don't think I've hatched a Tauros yet either. I caught all of mine I am pretty sure.